This book is not for every one. This is for those who want to live in a civilized state. The book is not aimed to proselytize for a tax state. Nor it advocates a tax haven. And least about a prospective tax-free heaven. It only tries to answer certain mundane but frequently asked questions: Why pay taxes? What prompts people to hate taxes? What happens if not paid? How to make the payment less painful? 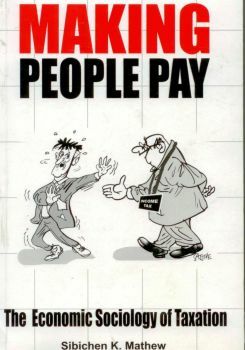 Is paying taxes, a matter of money or matter of mind? Observing people and their behaviour and understanding the patterns that shape their decisions were of immense interest to me since early in my life. I tried to comprehend and appreciate the principles of and practices in natural sciences, where individuals and their environment were dissected to understand their inherent properties, composition and factors of sustenance. Even while engaging in experiments in the chemistry lab, I was puzzled at the rationale of duality created in knowledge as natural sciences and social sciences. Is natural science really ‘natural’? Does social science has more to do with nature than ‘social’? Natural science had lost its naturalness the moment man started acting on it. I found that the distinction between both the sciences were increasingly getting blurred. As most of the changes happening in the world are due to human interventions, one needs a social science perspective to understand them. It was thus clear to me that, to understand an event or a situation one has to know the people behind it. And in order to understand people, one needs to understand their attitudinal and behavioural patterns and the forms relationships take in an interactive environment. The above paradigm switch in my thought process might be an important factor that propelled me to turn to the study of social sciences. The decade long training and reading in social sciences were indeed stimulating. The opportunities to learn the finer theoretical and methodological themes that dominated the intelligentsia in different periods of history and different cultural contexts have enriched my understanding. I sincerely wished to be an arm chair academician at this point of time. Gradually I realized that it is easy to dissect individuals and groups in the cozy libraries, seminar halls and project reports. It is not that comfortable to face people as they grapple with issues and challenges that emerge day by day. That is what I found when I joined the Indian civil services. My job as a taxman was not without challenges. I was seriously involved in the exercise of deepening of tax base, presuming that figures scribbled in the returns represented just a portion of the actual. But within a few years I realized that the tax potentiality lies not in the microscopic minority within but the vast majority outside the system. The road to widening the taxpayer base can never be smooth unless there is appropriate policy intervention, infrastructural transformation and effective service delivery. The efforts of the government in this regard started bearing fruits with every little step in the right direction. But, it was not clear why a country with considerable tax elasticity and tax potentiality found it difficult to attract more people to its tax rolls and gain more money to the direct taxes kitty. I started my search for the answers several years back. Slowly I realized the need for a systematic macro analysis of the issues. I was in fact plunging myself to what many call ‘research’ on the subject. Is tax aversion unique to some countries? My analysis proved not. There are several historical, political and sociological factors that deter people from paying taxes globally. It is not just economic factors that determine tax compliance as it is widely thought off. Attempt in this book was to analyze those factors. Theoretical analyses given in the book were aimed to provide an understanding of the subject of tax compliance with a global perspective at the macro level. It threw open certain valid questions. Why people in some countries comply better than others? Why tax evasion is not frowned upon in some countries and disgraceful in some other countries? A unique attempt was also made here to understand tax evasion and tax enforcement through a study of tax evaders (or who were branded so) themselves. As a researcher, I was really surprised at the frank and genuine responses of the sample of tax payers who were searched by the Indian Income Tax Department. 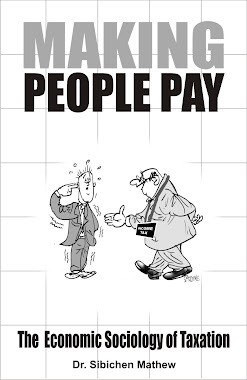 The interviews and case studies with them have, without exception, cumulatively and intellectually enriched me as they helped me to understand the behavioural pattern, attitudes, perceptions and expectations of taxpayers in general. It would be bliss if one can get rid of all taxes. But in a world of widespread inequity and inequality, income taxation is an economic-sociological instrument for overall well being of the people. Countries like India and other developing countries need to nurture their increasingly affluent citizenry in their endeavor to plug the inequalities. Globalization demands not only efficient, fair, and transparent tax states, but also increased tax co-operation to tackle tax evasion. Please take note of this disclaimer. All views expressed in this book are my personal views. 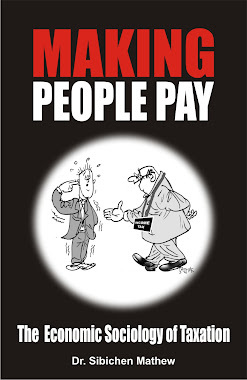 The book is not from a taxman or a civil servant but from a social researcher. The sole aim of the book is to provide a new analytical framework in the study of and approach towards tax evasion and tax enforcement.